How do I write a review of a post-rock record? No really, how do I? When you listen to a record that is the culmination of a 7-year story, that was important for this blog (though it pales in comparison to the growth experienced by the band), you would understand that feelings can be hard to articulate. Fortunately, the track list for -aire acts like a sort of road map for how we’re supposed to feel. If I went track by track reacting to these songs, not only would you probably be bored by the end of the review, I’d be repeating myself a lot. So instead I’ll mention a few personal highlights. 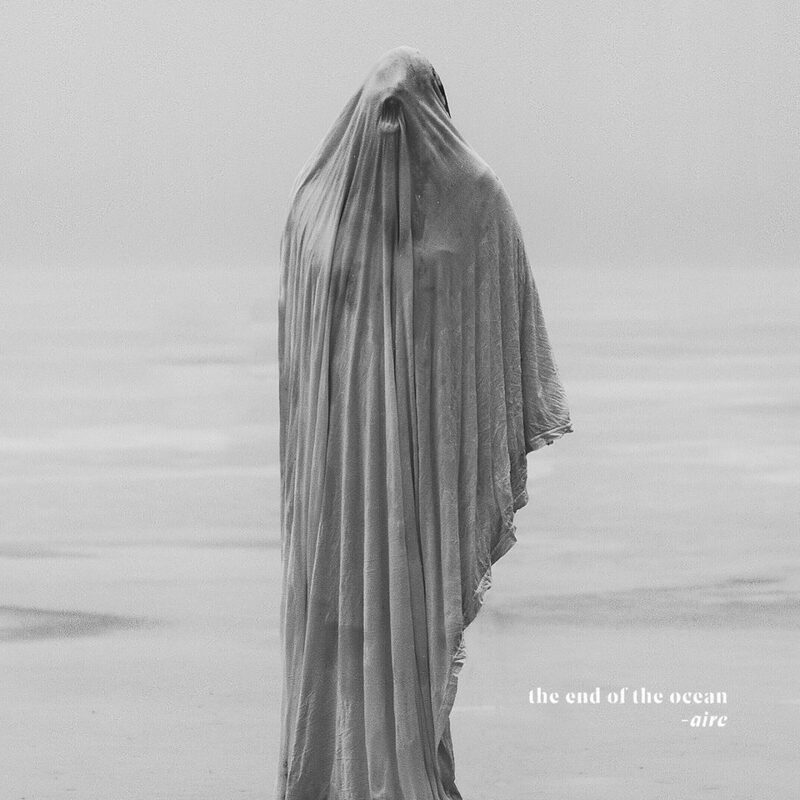 As mentioned in many other write ups, The End of the Ocean have been through a whole lot of transition in the past few years. However, I’ll fill you in on what these guys and gals have meant to me over the past 7 years, in the context of this record. Has it really been 7 years? The album opener “endure” could be thought of as a mission statement. It’s a reflection on the hardships endured, and the passage of time. I think of how much I’ve changed in the past 7 years. The growth of this blog. My trials. “bravado” has been on repeat for me the past few months because it’s so dang fun. To me it signals a sense of “alright, now that we’ve acknowledged our trials and triumphs, let’s plow full steam ahead into whatever the future holds.” Similarly, I have a feeling “jubilant” will be on repeat on my playlist—it lives up to its title. Have you ever thought “happy” could be used to describe post-metal? “desire” stood out to me immediately at the release show for -aire, for its haunting yet hopeful theme. Its piercing angsty guitars communicated passion in a compelling way, and the song in general articulated a cycle of anticipation and release well. Listening to this album, as I mentioned earlier, represented a bit of a full circle moment for me. You see, the very first interview we ever did on this blog was with The End of the Ocean bassist Bryan Yost. I was bummed a few months ago to learn he had left the band but was relieved to learn at the show this weekend that he was on good terms with everyone and still considered them family. Seeing him raise his arms triumphantly during the climax of the show, cheering on his family from his newfound role in the front row, was really moving and came across as somewhat of a redemptive moment. All trials can be used for, and end in, good. I think that message is something I receive from listening to -aire. That, and it’s just a really fun time. Follow The End of the Ocean on Facebook, Twitter, and Instagram. -aire is now out on Equal Vision Records.